Prime Minister Narendra Modi on Saturday slammed the Congress party, saying the public will not believe Congress even in the coming 100 years. Speaking at a rally at Sundarnagar in Himachal Pradesh's Mandi district, the Prime Minister said: "There was a time when newspapers were full of 2G Spectrum and corruption news all over. At the time of Congress regime there was discussion about how much has gone and now we discuss how much has come." He further said that the upcoming Himachal Pradesh assembly elections were not only about forming a new government but building a grand and divine state. "This election is not only about forming a government but building a Bhavya (grand) and Divya (divine) Himachal," he added. The Prime Minister also said that they would teach lesson to those who looted the country and added that people of Himachal will give stringent punishment to Congress this time. Modi also recounted the efforts made by his party in Himachal Pradesh. "The party workers have made efforts to distribute 27 crore LED lights. Through this initiative, savings worth Rs 400 crore in the state," Prime Minister Modi stated. Speaking about his about his party's outlook for the hill state, he said: "We want to change lives in villages in India be it roads, railways, air, highways. We want to work for Himachal. Modern infrastructure brings development. Himachal has much potential to expand its tourism sector. We want to strengthen it further." He also spoke about the Pradhan Mantri Saubhagya Yojana and other health benefits that BJP has strived for in the state. Concluding his speech, the Prime Minister pitched for development and said, "Development will help us fulfill our dreams and will help us take our children on the correct path." 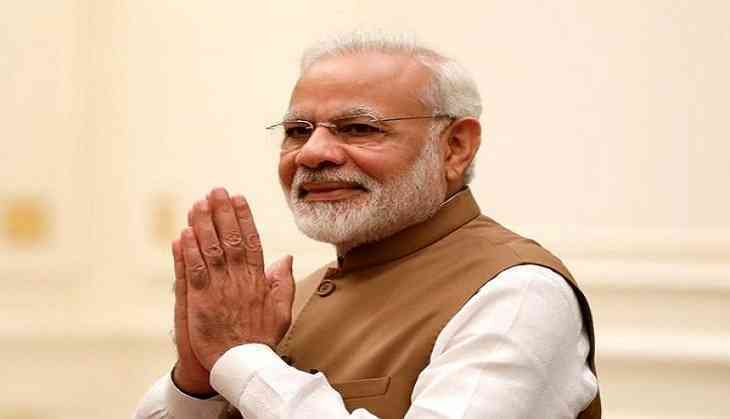 As the campaigning for the assembly elections is at its peak in Himachal, Prime Minister Modi addressed a rally in Kangra's Rait earlier in the day. Addressing the election rally in Kangra, the Prime Minister Narendra said the Congress has accepted defeat in Himachal Pradesh and will not return to power in near future. "During elections, generally the top leaders of the party campaign for their parties in the last phase of the campaign, but for the first time Congress' central leaders have not come to Himachal Pradesh. They have accepted defeat," Prime Minister Modi said.